Extended care in a nursing facility impacts many families in Michigan. Eligible nursing home residents can qualify for Medicaid benefits to assist with the significant cost of nursing care. Unfortunately, many families are disheartened to learn that upon the death of a loved one receiving Medicaid benefits, their remaining property is subject to an estate recovery claim by the State of Michigan. Estate recovery is a program designed to allow the State of Michigan to recover certain Medicaid benefit payments from the estates of Medicaid beneficiaries. There are certain exemptions that may apply which would defer or prohibit the ability of the State of Michigan to initiate their recovery efforts. Certain assets are exempt from determining whether an individual residing in a nursing home is eligible to receive Medicaid benefits. However, upon the death of the Medicaid beneficiary, those same assets may be exposed to an estate recovery claim. The primary residence of a deceased Medicaid beneficiary is the asset most commonly subjected to these claims. It is also oftentimes the only asset that would otherwise be passed down to the deceased Medicaid beneficiary’s descendants. 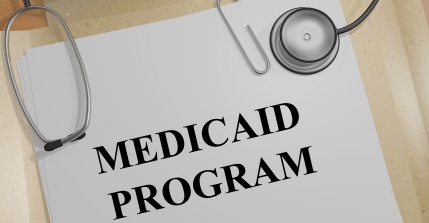 The first phase of a well-drafted Medicaid plan should preserve the maximum amount of assets permitted by policy while obtaining eligibility for the applicant. The second planning phase incorporates measures to avoid the exposure of the applicant’s assets to estate recovery upon their death. If you want to make sure the family home stays in the family, the law firm of Barberi Law can assist you today.